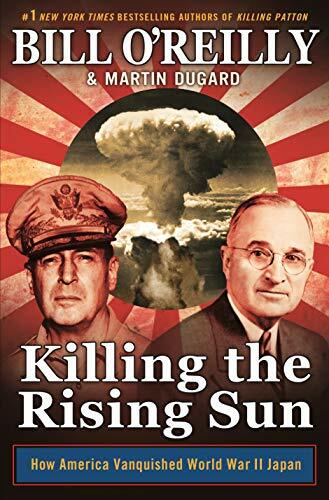 [PDF] Killing the Rising Sun: How America Vanquished World War II Japan | Free eBooks Download - EBOOKEE! Description: Autumn 1944. World War II is nearly over in Europe but is escalating in the Pacific, where American soldiers face an opponent who will go to any length to avoid defeat. The Japanese army follows the samurai code of Bushido, stipulating that surrender is a form of dishonor. Killing the Rising Sun takes readers to the bloody tropical-island battlefields of Peleliu and Iwo Jima and to the embattled Philippines, where General Douglas MacArthur has made a triumphant return and is plotting a full-scale invasion of Japan. Across the globe in Los Alamos, New Mexico, Dr. J. Robert Oppenheimer and his team of scientists are preparing to test the deadliest weapon known to mankind. In Washington, DC, FDR dies in office and Harry Truman ascends to the presidency, only to face the most important political decision in history: whether to use that weapon. And in Tokyo, Emperor Hirohito, who is considered a deity by his subjects, refuses to surrender, despite a massive and mounting death toll. Told in the same page-turning style of Killing Lincoln, Killing Kennedy, Killing Jesus, Killing Patton, and Killing Reagan, this epic saga details the final moments of World War II like no other before. 2013-07-12Thomas Fleming, "The Illusion of Victory: America in World War I"
No comments for "[PDF] Killing the Rising Sun: How America Vanquished World War II Japan".